African American Lifestyle Magazine: The Women of Color Foundation Announces their 10th Anniversary Celebration! We bring articles and news that matter to our communities and keep our readers engaged with topics that inform, empower, and inspire. 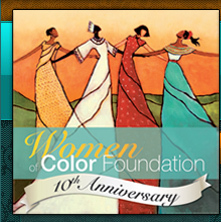 The Women of Color Foundation Announces their 10th Anniversary Celebration! The Women of Color Foundation is proud to announce the launch of the organization’s inaugural Hall of Fame Induction Ceremony and Awards Gala. The Gala’s theme is “Celebrating the Brilliance of Extraordinary Women of Color” and will honor thirteen women who have made both a personal and professional impact on the lives of others, locally, regionally, nationally, and/or internationally. The awards will include special 10th Anniversary Individual Philanthropy, Lifetime Achievement, Diversity and Inclusion, and Global Achievement Awards. The Hall of Fame Induction Ceremony and Awards Gala is one of several events taking place throughout this year as part of the Foundation’s 10th Anniversary celebration, including the 10th Annual Personal and Professional Development Retreat for Women of Color, “Connections, Community and Career”, which will lead up to the Gala. The two-day Retreat, which has been around since the Foundation’s inception in 2002, will take place 8:00 a.m. – 5:00 p.m., Thursday, May 31 and Friday, June 1, 2012 at Cleveland Clinic’s Lyndhurst Campus at 1900 Richmond Road in Lyndhurst, Ohio. The Retreat is a unique concept and forum designed to facilitate the collaboration, networking, mentoring, sharing, and training of women and girls. The goal is to leave women with a greater sense of empowerment, and therefore, participants are encouraged to actively participate in workshops discussing topics relating to health, career, personal development, finance, professional development and more. Over 300 women are expected to attend the Retreat. 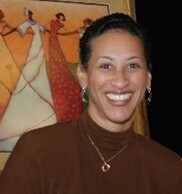 The Awards Gala will take place on Saturday, June 2, 2012, from 6:00 to 9:00 p.m. at Cleveland Clinic’s Lyndhurst Campus. The Awards recipients include: Maria Bonilla Boss, President, Boss Enterprises, Inc; Margot James Copeland, Executive Vice President and Director of Corporate Diversity & Philanthropy, KeyCorp; Constance D. Harper, Associate Publisher & Executive Editor, Call & Post Newspapers; Pamela Marshall Holmes, Senior Director, Community Outreach, Cleveland Clinic; Marilyn Sanders Mobley, Ph.D., Vice President, Office of Inclusion, Diversity & Equal Opportunityand Professor of English, Case Western Reserve University; Debra Adams Simmons, Editor, The Plain Dealer Newspaper; Daisy Alford Smith, Ph.D; Chief Executive Officer, Girl Scouts of North East Ohio; Margaret W. Wong, Esquire; Principal, Margaret W. Wong & Associates, Co., LPA; The Honorable Shirley A. Smith; Member, Ohio Senate; 21st District of Ohio. DeLores Pressley, International Motivational Speaker, Life Strategist and Author, and Founder, DeLores Pressley Worldwide, will receive the Global Achievement Award. “We are extremely excited and proud to honor these thirteen extraordinary women at our inaugural Hall of Fame Induction Ceremony and Gala,” says Alexandria Johnson Boone, Founder and Chairwoman of The Women of Color Foundation. These women come from a variety of cultural, personal and professional backgrounds, and have experienced the successes, triumphs and failures that all women can relate to. They exemplify the fact that, despite difficult challenges, unexpected obstacles and setbacks, women are smart, strong, tenacious and leaders in their families, communities, professions and businesses. These women are role models to us all, and truly epitomize what the Women of Color Foundation has tried to accomplish over the past 10 years, and what we, ultimately, stand for,” she said. The Retreat and Awards Gala are presented by The Women of Color Foundation, Cleveland Clinic, American Greetings Corporation, and WEWS-TV NewsChannel 5, with the support of Forest City, Dominion East Ohio, Fifth Third Bank, KeyBank, Prudential, Medical Mutual of Ohio, Cleveland State University, Case Western Reserve University, University of Akron, E.F. Boyd & Son, Inc., and Huntington; and media sponsors, The Cleveland Women’s Journal, Max’n Out Entertainment, Call & Post, The Women’s Book, and Kaleidoscope Magazine. A variety of registration and sponsorship packages are available for the Cleveland Personal and Professional Development Retreat and Hall of Fame Induction Ceremony Awards Gala, as well as other 10th Anniversary Women of Color Foundation events. It's an awesome paragraph in support of all the internet users; they will obtain advantage from it I am sure. a quick shout out and tell you I really enjoy reading your blog posts. Can you suggest any other blogs/websites/forums that cover the same subjects? Hello! I'm at work surfing around your blog from my new apple iphone! Just wanted to say I love reading your blog and look forward to all your posts! Keep up the outstanding work! Thanks for finally talking about > "The Women of Color Foundation Announces their 10th Anniversary Celebration!" < Liked it! your blog. Im really impressed by it. benefited from this web site. you for a incredible post and a all round enjoyable blog (I also love the theme/design), I don't have time to read it all at the minute but I have saved it and also added your RSS feeds, so when I have time I will be back to read more, Please do keep up the superb work. I don't even understand how I stopped up right here, but I assumed this submit was good. I do not know who you're but certainly you're going to a well-known blogger in the event you aren't already. Feel free to visit my website :: Is it selfish to fight for someone you love and to earn their love back? in the way of content so people could connect with it better. I was suggested this website by my cousin. Your style is very unique compared to other people I've read stuff from. Many thanks for posting when you have the opportunity, Guess I will just book mark this site. matter to be actually something which I think I would never understand. for your next post, I will try to get the hang of it! same high-grade blog posts from you in the future as well. in which you say it. You make it entertaining and you still take care of to keep it smart. I can't wait to read much more from you. This is actually a terrific web site. Someone essentially help to make critically posts I might state. I surprised with the research you made to create this actual put up incredible. Hi, just wanted to say, I loved this article. It was inspiring. site. Continue the good work! where I could locate a captcha plugin for my comment form? Did you develop this web site yourself? Please reply back as I'm trying to create my own personal blog and would like to learn where you got this from or exactly what the theme is named. Cheers! Hi this is kind of of off topic but I was wondering if blogs use WYSIWYG editors or if you have to manually code with HTML. I'm starting a blog soon but have no coding expertise so I wanted to get guidance from someone with experience. Any help would be enormously appreciated! than that, that is excellent blog. A fantastic read. but this post is truly a nice post, keep it up. exciting to read articles from other authors and use something from their websites. With havin so much content do you ever run into any problems of plagorism or copyright violation? My website has a lot of unique content I've either written myself or outsourced but it seems a lot of it is popping it up all over the internet without my permission. Do you know any methods to help stop content from being stolen? I'd really appreciate it. talked about in this article? I'd really like to be a part of group where I can get suggestions from other knowledgeable people that share the same interest. If you have any recommendations, please let me know. Many thanks! and aid others such as you helped me. this website yourself or did you hire someone to do it for you? I'm really loving the theme/design of your site. Do you ever run into any web browser compatibility issues? A few of my blog readers have complained about my site not operating correctly in Explorer but looks great in Firefox. Do you have any advice to help fix this problem? running into is getting a service which require opt-in. Does anybody have any suggestions?. up new weblog or even a blog from start to end. Respectable domain with practical infos. I did not get numerous search results about "swimming pool chemicals" when I searched for it and at this internet site I get completely all the info i searched for! exposure! Keep up the superb works guys I've added you guys to my personal blogroll. It's perfect time to make some plans for the future and it's time to be happy. I've read this post and if I could I desire to suggest you some interesting things or suggestions. Perhaps you can write next articles referring to this article. I wish to read even more things about it! You're so cool! I don't think I've read a single thing like that before. So wonderful to discover someone with a few original thoughts on this topic. Really.. thanks for starting this up. This site is one thing that is needed on the internet, someone with a bit of originality! and would love to have you share some stories/information. even remotely interested, feel free to shoot me an e mail. me. Thanks, very great article. Your method of describing all in this article is truly fastidious, all be able to easily understand it, Thanks a lot. Does your site have a contact page? I'm having problems locating it but, I'd like to send you an email. I've got some suggestions for your blog you might be interested in hearing. Either way, great website and I look forward to seeing it develop over time. I've learn some good stuff here. Definitely worth bookmarking for revisiting. I wonder how much attempt you place to make this type of excellent informative web site. in my view its really remarkable in support of me. in your post is just cool and i can assume you're an expert on this subject. Well with your permission let me to grab your feed to keep updated with forthcoming post. Thanks a million and please continue the rewarding work. It's an awesome article in support of all the internet people; they will take advantage from it I am sure. Company Overview: Our magazine is one of the fastest growing minority publications of its kind. Our circulation has now expanded from Ohio to other parts of the country such as Georgia, Michigan, Illinois, Indiana and New York. The publication aims to be a major conduit for information media and empowerment agent. We embrace diversity and informative articles in our editorial themes and provide a voice for many in the community. Our readers are professionals, entrepreneurs, educators and everyday people who are committed, driven and striving to get the most out of life. Description: We bring articles and news that matter to our communities to keep our reader engaged and give value to our advertisers by exposing them to a very unique market.MissionOur mission is to inform, empower, inspire and connect our reader by creating a platform for success. Products/Magazine: The publication is now available in print and digital editions. In addition we have formed a new subsidiary, Afripress Publishing Holding Company, a global media event planner and management company. Glorious Gabby Is The First African American To Win Olympic Gold In The Women's All-Around Gymnastics! The UniverSoul Circus is in CLEVELAND!!! GET YOUR TICKETS NOW!!! THIS IS A SHOW YOU DON'T WANT TO MISS! I'm Black and I Travel! African American Lifestyle Magazine. Awesome Inc. theme. Powered by Blogger.